Ever since Super Mario RPG: Legend of the Seven Stars for the Super Nintendo, I've been a big fan of the concept of the Mario-centric RPG. Take characters we know well, bring them into a world with a more structured narrative, add in a dash of whimsy and an engaging RPG battle system, and you've got a formula that I'll happily devour time and time again. Unfortunately, the last few Mario RPGs on handhelds have been of inconsistent quality and polish. 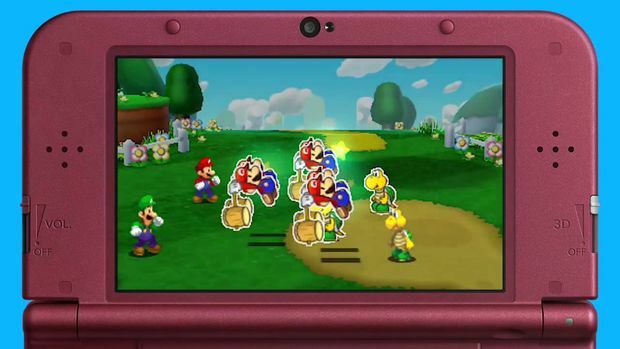 Experiments with new formula elements like consumable stickers have been divisive and the concept of a new Mario-themed RPG has been met with some caution from fans in the lead up to the release of Mario & Luigi: Paper Jam. 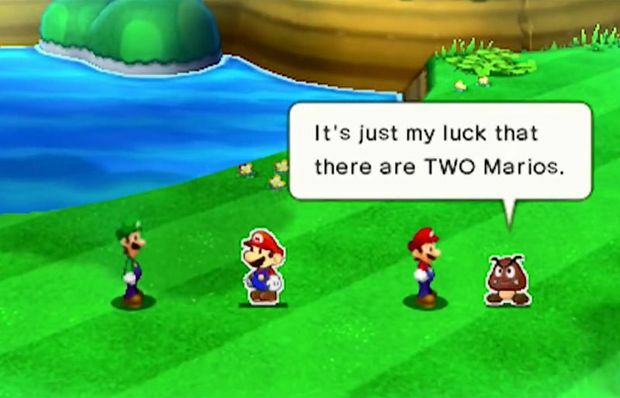 Mario & Luigi: Paper Jam tells the story of a crossover between the Mario franchise's two RPG iterations, the Mario & Luigi series and the Paper Mario games. In the world of Mario & Luigi, the cowardly green brother and an inquisitive toad go exploring in the depths of Princess Peach's castle, and happen upon a dusty old book. Upon opening the book, which just so happens to be the book in which Paper Mario's universe is contained, our heroes' wafer thin counterparts are unleashed into the 3D world, alongside a number of side characters and villains who also escape with them. From here it's pretty predictable. Two Bowsers meet, they steal two princesses, two sets of brothers attempt to rescue them. Pretty predictable Mario plot. The narrative presentation on the whole is one of the strongest points on the whole of this latest RPG adventure. The dialogue, character interactions, and general writing were constantly cute, intelligently written, and surprisingly creative for what could easily have been a paint-by-numbers affair. The localisation of the script is superb, a real step above what you see from most text-heavy adventures. The writing is consistently charming, intelligently self aware, tuned for cultural tastes, and snappy. When not trying to explain mechanics the writing is incredibly well paced and a joy to experience. The biggest issue for the narrative presentation and writing from moment to moment is the fact that Mario and Luigi remain mute throughout the adventure. This often leads to characters around them explaining their intent in less than elegant ways. Far too often a Toad might interject with a line like "What's that Mario, you think Bowser might have gone this way?" just so Mario could nod yes and the scene could progress. It's a minor issue with an otherwise good set of writing. While the overall plot may play things a little too safe, the journey to get there is very well written. Right, let's get on to the meat of what you're actually doing when you play Paper Jam. 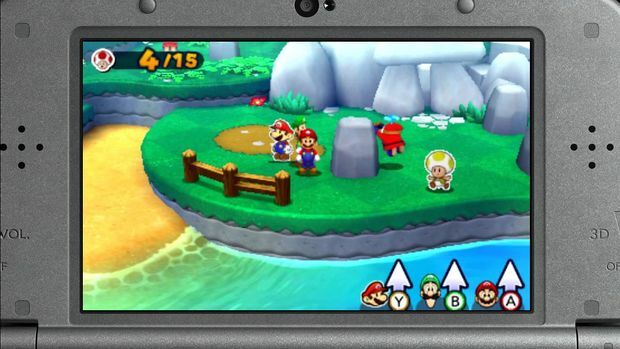 You explore the main world from an isometric view, with both Mario and Luigi following your control stick movements. You use the A button to make Mario jump, the B button for Luigi and both if you want them both to jump. This concept of having one button tied to each brother carries over into the combat system and actually works really nicely. At all times both brothers are under your control, it's just up to you to manage both in real time. Combat feels very familiar if you're a long time fan of the Mario RPGs. Enter a turn-based battle, select your attack, and time button presses to deal more damage to enemies or take less damage when being attacked. What helps the combat in Paper Jam stay fresh is the way this individual buttons for each brother mechanic fits in. If you decide to do two-person team attacks, you'll have to keep an eye on which brother is about to be active in the attack and make sure to press his button in time with the attack. If you're being attacked, you'll not only need to time your defense, but keep an eye on who the target is and defend him rather than the other brother. This mental back and forth in combat may seem a small addition, but it really helps freshen up an already strong combat system. The increased difficulty this brought to combat was a really nice thing to see. Boss battles will start as standard fight, but as they progress take some really interesting turns mechanically. From minigame integration to rhythm-based giant papercraft battles, boss fights throw a handful of new battle experiences at the player, ensuring each becomes a really memorable and unique encounter. Occasionally these experiments are more minor misses than hits, but overall I was thankful for the attempts at creative boss battle types. They were usually not too tactical, but it did feel rewarding to watch these bizarre spectacles unfold. The biggest problem with the core gameplay is that outside of battles, much of the it felt very much like things I have already seen and done in other Mario games. Hit blocks with your head, jump on platforms, go down pipes, and collect mushrooms. It's rarely a challenge to move between fights, and very little in the environments felt like it was new, or pushing the creative limits of a Mario environment. Another minor issue Paper Jam struggles with is excessive hand holding when new mechanics are introduced throughout the adventure. 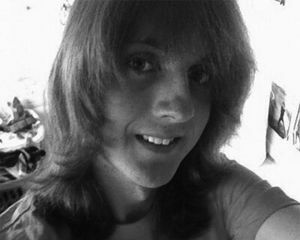 Every time something new is expected of you, the game makes sure to spend considerably longer than is necessary overly cautiously explaining what is expected of you. It's painstakingly thorough, which is certainly going to irritate more experienced players. Overall, Mario & Luigi: Paper Jam is a really rock solid game, with a few visible creases that need to be noted before purchase. It captures the bright colorful fun of the Mario universe perfectly, pairing it with incredibly well-localized dialogue and a very strong combat system. While it sometimes holds your hand for a little too long and at times fails to take proper risks, it was consistently polished, enjoyable and memorable.